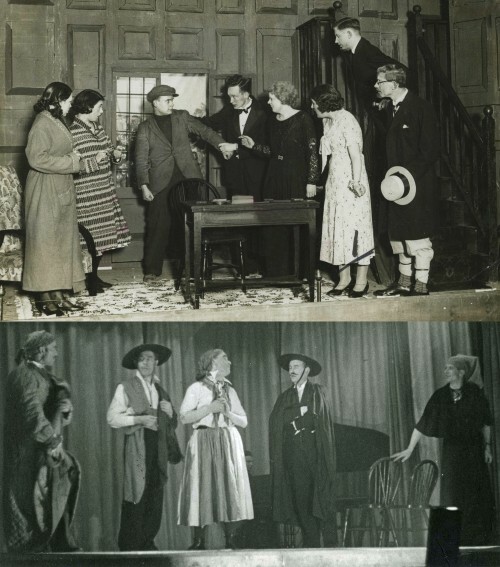 These two photographs show a young Jack Field in two different Village Hall drama productions in the 1930s. In the first picture, taken in 1935, Jack is the one in the flat cap being arrested. In the second picture he is in the middle wearing a skirt! Missing information: Can you identify anyone else in these photographs?